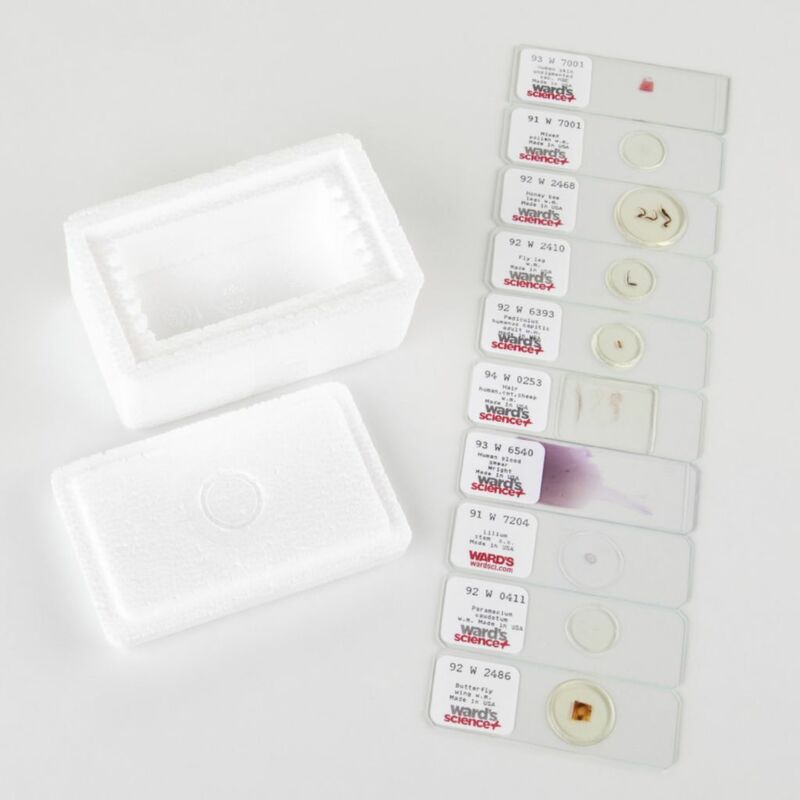 This set is perfect for students that are just beginning to learn microscopy; view specimens of different sizes with varying depths of field, while seeing things from all over the biological world. Ordering information: Set includes Mammal Tissue: Human Blood(sm); Human Skin(sect). Cat/Human/Sheep Hairs(wm); Plant specimens: Lily Stem(cs); Mixed Pollen(wm). Insect specimens: Housefly leg(wm), Honeybee leg(wm), Butterfly wing(wm). Whole organisms: Paramecium(wm); Adult louse(wm).